Developing creative excellence in construction. Stanhope is a best in breed commercial property developer. At the time we were working with them, they had already 25 years experience and over £10Billion worth of completed projects. 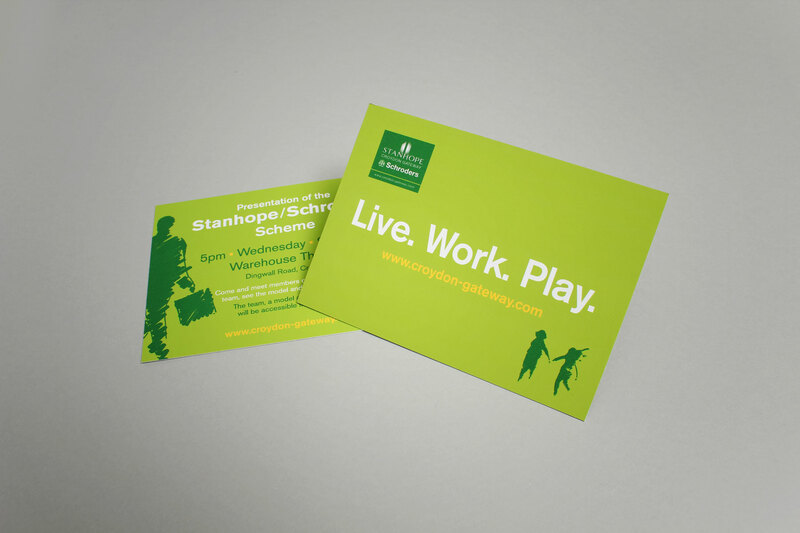 We supported Stanhope with research, communications, design for print and a number of tactical digital builds. Stanhope is a best in breed commercial property developer. The communication featured information and diagrams conveying the Stanhope vision of building a future-fit, sustainable HQ for Unilever. 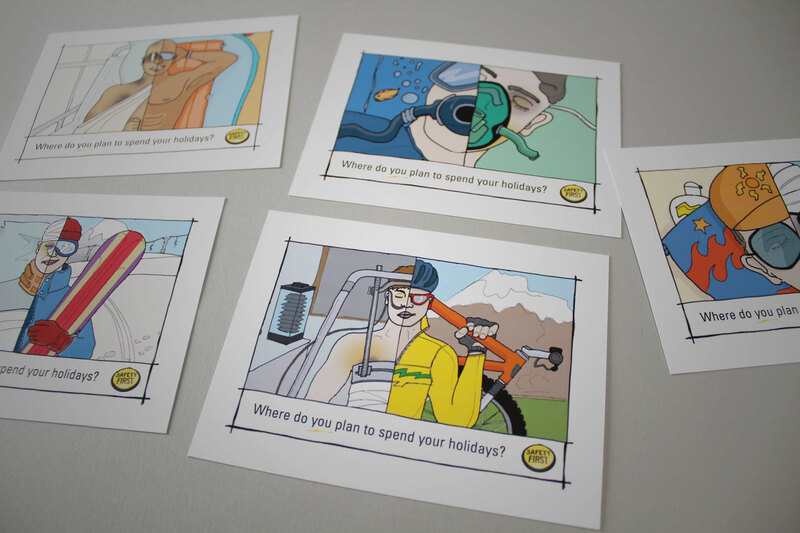 Although digital imagery was an option, we much preferred the warmth created through old fashioned transparency. 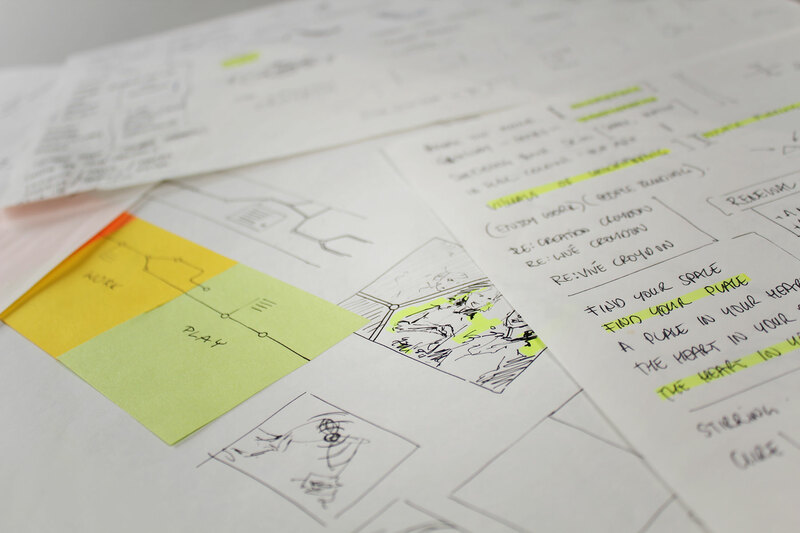 Following the research phase we created a number of concepts designed to grab attention. After a concept had been agreed, it we created shoot sketches so that we could plan the required photoshoots and post production. We wanted to control the vast majority of alignment in shot so post production was mostly around the area of colour grading and dropping in background media. 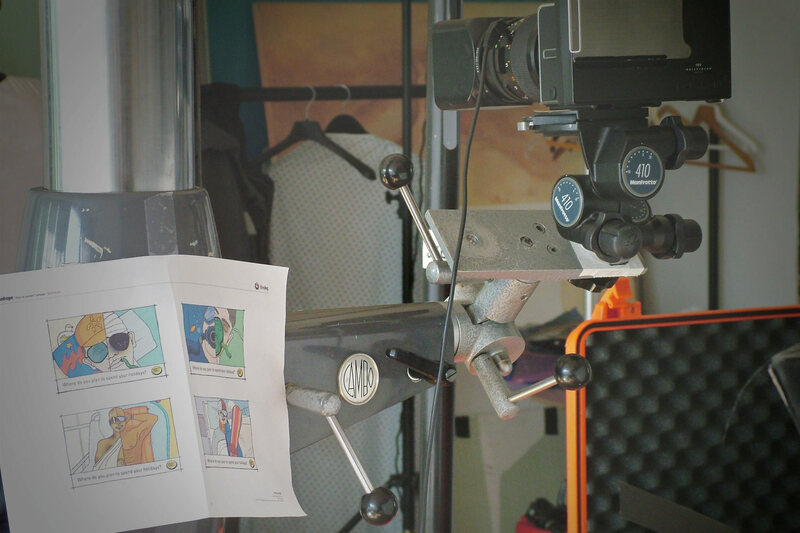 The shoot sketches sat with us on location, carefully governing the creative outcome. Due to the fact that we were creating composited imagery, we had to be fastidious about controlling the photographic process. The advertising media was applied to a myriad of applications, from small A2 format block mounted posters in canteens to much larger billboard format. The imagery is designed to be displeasing, exaggerating the colour hues so that the holidays are bright - And the medical imagery macabre. Research also informed us that regulatory text saturates the working environment. We therefore geared our campaigns to utilise the bare minimum of strong image and direct message. 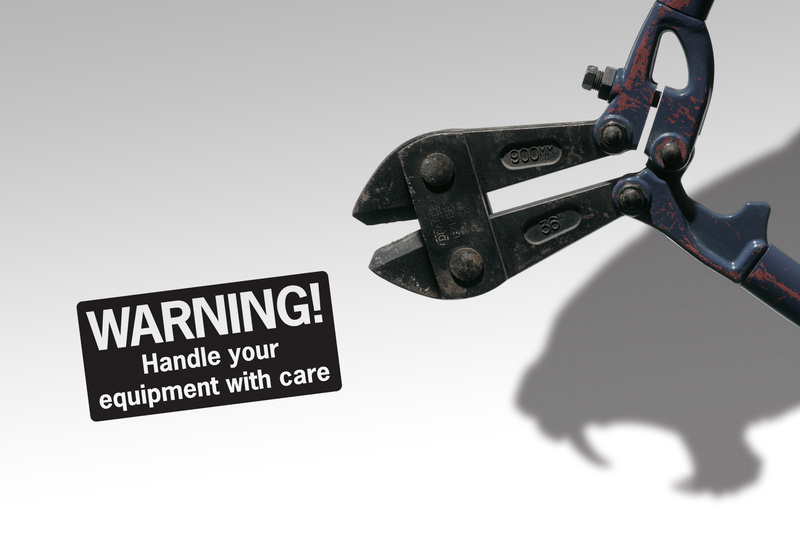 Our second concept focussed on getting the site workers to view their tools as hazardous when not respected. Researched showed that the vast majority of incidents involved tools rather than falls. The campaigns, which had on average five executions of each, were rotated around the sites at a weekly interval. The project was all themed around creating an oasis in the heart of Croydon. We drew up conceptual avenues geared to deliver this message to the community. 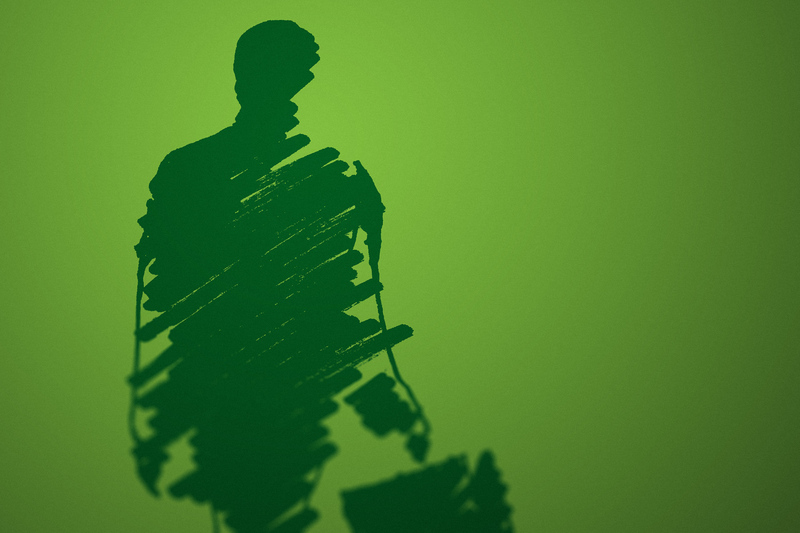 The appeal of the bright and fresh identity was felt within the community almost immediately. A key deliverable in the project was around the active communication of the development progress to the local community. The campaign identity revolved around the Live - Work - Play proposition, inspired by the mixed use strategy of the development masterplan. We utilised the vast perimeter of the site as a platform for messaging, visual identity and recent topical news about the development. The use of organic and flowing illustrated assets around the imagery creates a positive and uplifting publication. The print utilised more expensive yet recycled uncoated stock which suited the textures within the photography. 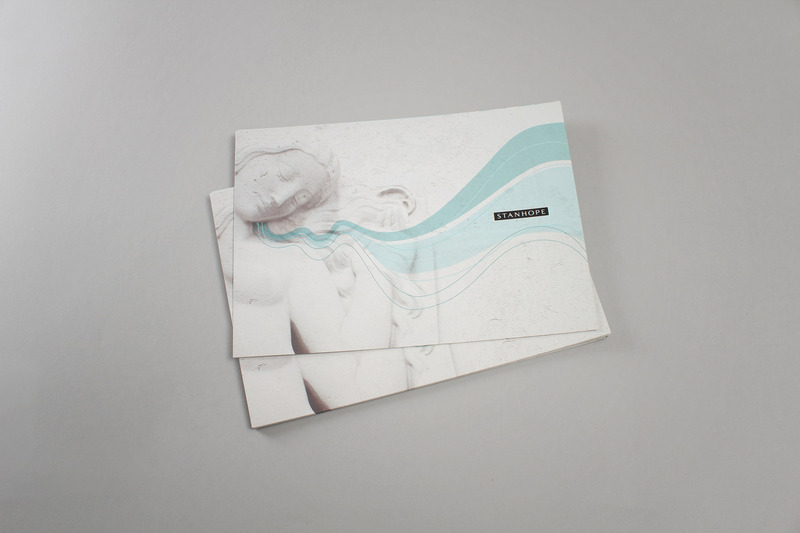 The design behind the brochure combined real architecture features taken from the development, combined with illustrated assets. 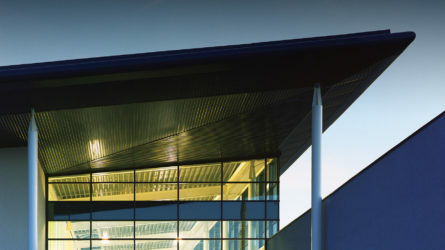 Stanhope PLC worked with Firedog for over five years producing a wide variety of creative work. 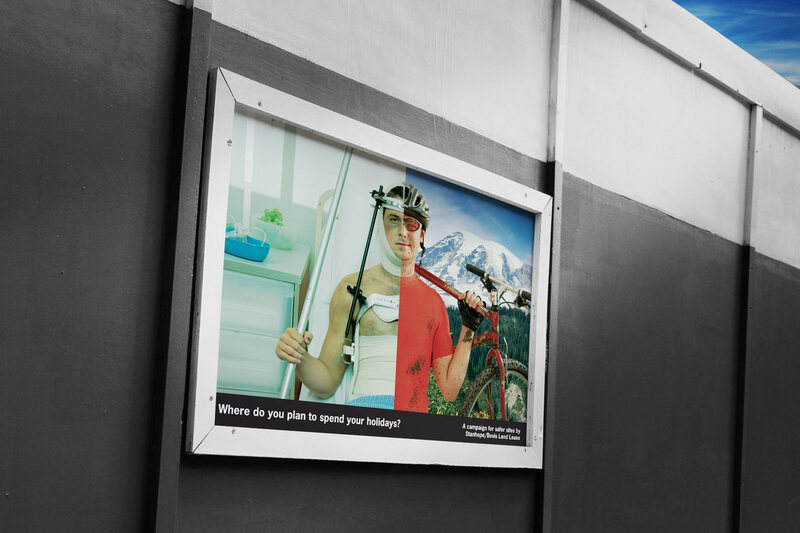 We produced campaigns designed to both raise site safety standards. 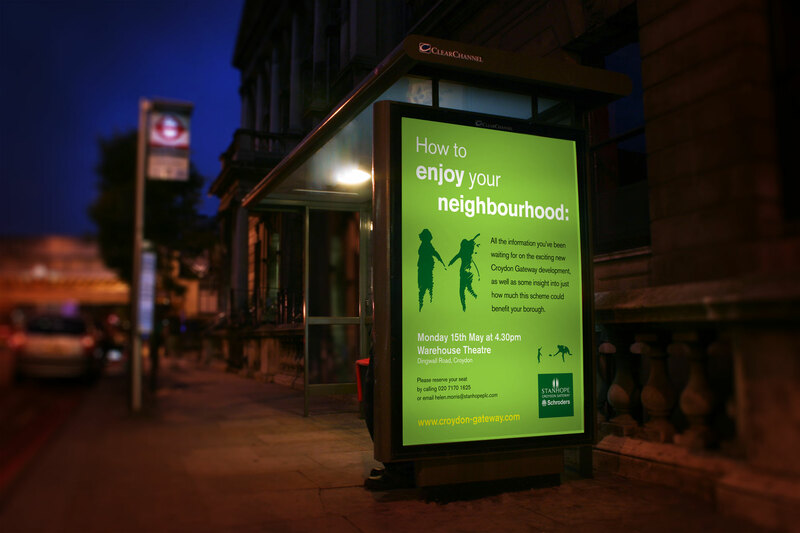 From on the ground research, we developed campaigns to engage the public for new urban planning in Croydon. We also produced a number of brochures, posters, hoardings and integrated communications across a dozen development projects. 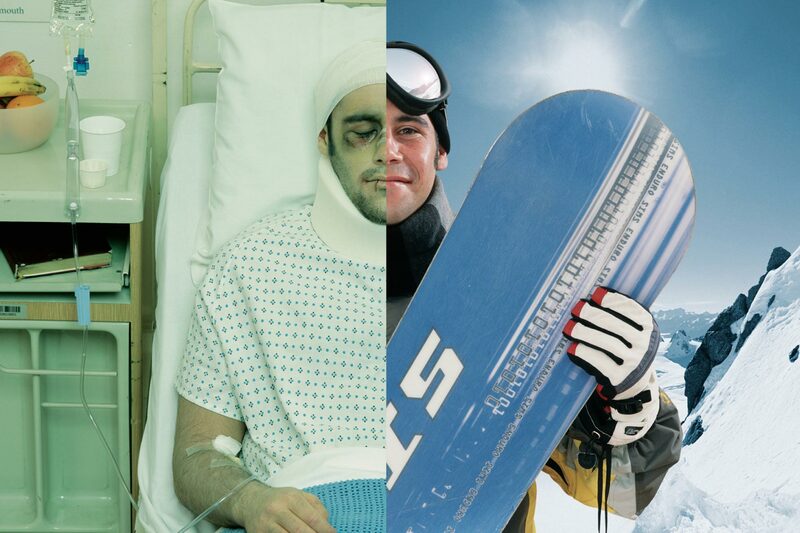 The campaigns have gone on to win a number of industry awards for HSE initiatives. Firedog were tasked with researching attitudes to safety on Bovis / Stanhope sites with a view to develop an awareness campaign around increasing the levels of safety. The ultimate result would be to reduce the numbers of injuries on site without resorting to shock tactics, which tend to disengage the audience. Focus groups and dip-stick research into current safety initiatives and attitudes was undertaken at various BLL/Stanhope sites. The approved strategy informed by the research results, was to produce 5 poster campaigns that were designed to be rotated across 5 sites every fortnight. The desired effect was to produce relevant message that updated frequently. Firedog produced 35 unique posters across five different campaigns. 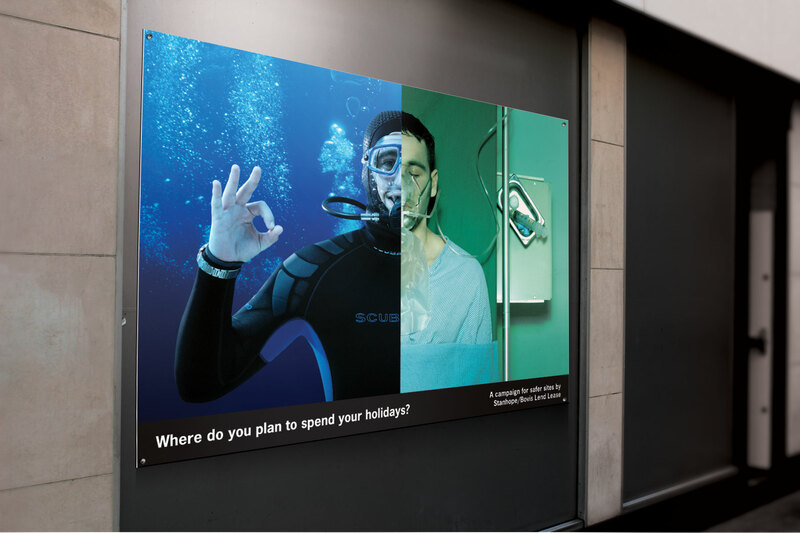 HOLIDAYS CAMPAIGN – The Holidays campaign was designed to offer a negative and positive message in direct contrast with each other so that the audience could identify with both end results. 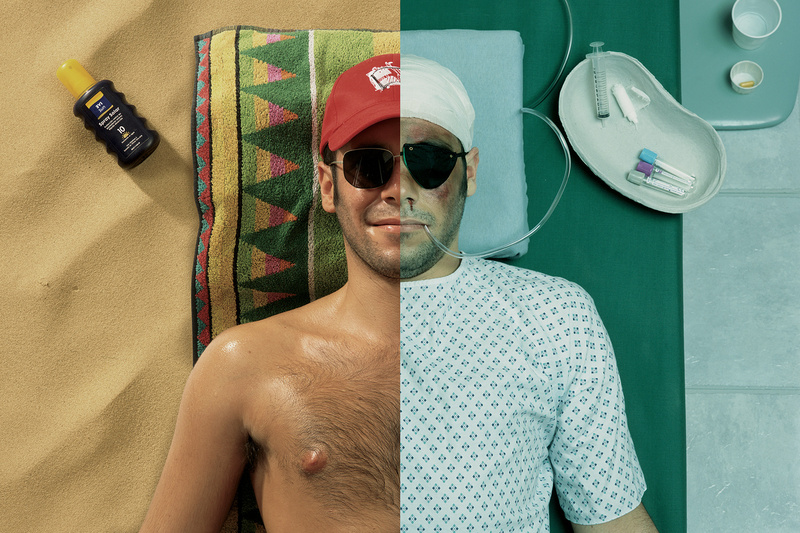 The poster is split showing the same person either enjoying themselves on what is clearly a holiday activity or lying in a hospital immobilised and seriously injured. 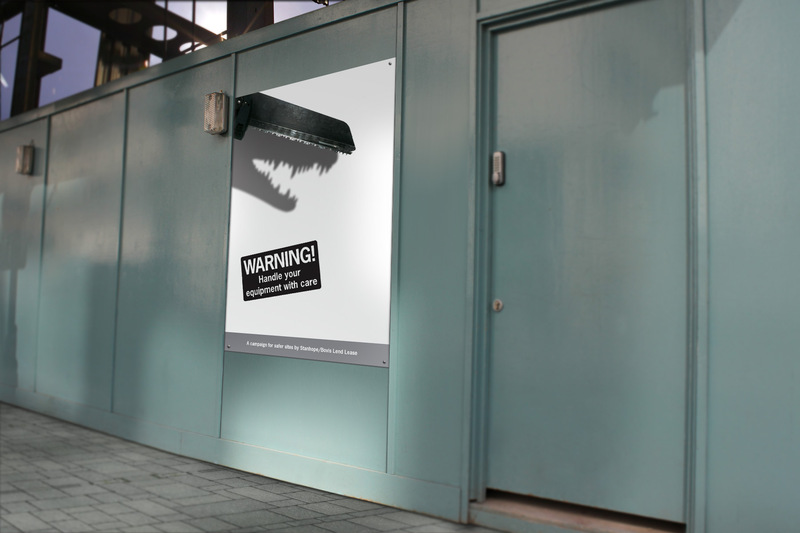 DANGEROUS ANIMALS CAMPAIGN – This concept was based on the fact that most injuries on site are caused by workmen working with everyday construction tools. Our research indicated that these were the most common type of injury on site. Five poster campaigns were designed and produced by Firedog. 35 unique posters across five different campaigns. The A1, A2 and A3 posters have been strategically placed across the sites to further reinforce the safety message that’s common to Bovis Lend Lease and Stanhope projects. 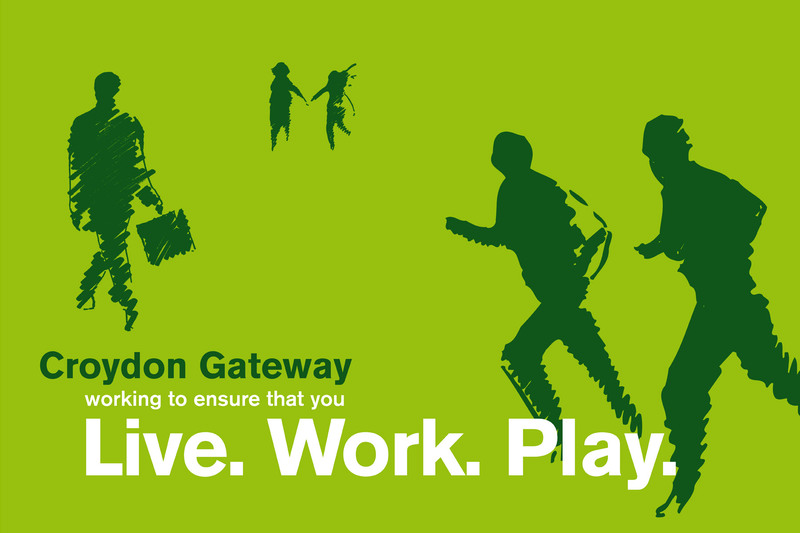 We were required to effectively win the hearts and minds of the local community by re-designing the Croydon Gateway brand. The Croydon Gateway site is a massive tract of land bordering East Croydon Railway Station. Stanhope and partners, Schroders, own the land and have plans to develop the site. It was essential that the local community understood the benefits of how the Croydon Gateway could transform their lives and what benefits the Stanhope plans offer in terms of modernising the CBD of Croydon. We were required to effectively win the hearts and minds of the local community by re-designing the Croydon Gateway brand. Our objective was to make the brand feel more approachable and accessible. We produced an 80m long, 3m high site billboard ... the most eminently visible, high impact billboard in the South East. Understanding how much impact this major development will have on the local Croydon community, Firedog developed a lifestyle brand that encompassed a ‘Live. Work. Play.’ proposition. We purposefully designed a brand that was about people and space. To demonstrate the benefits of the development we used a natural green palette with silhouettes to illustrate the various ways in which Croydon Gateway will be used as well as to reinforce the fact that much needed greenery will be introduced to the CBD of Croydon. The use of computer generated imagery adds a human element that people can relate to. The brand success allowed us to subsequently deliver creativity around press, sponsorship, outdoor advertising, direct mail, community relations and web. 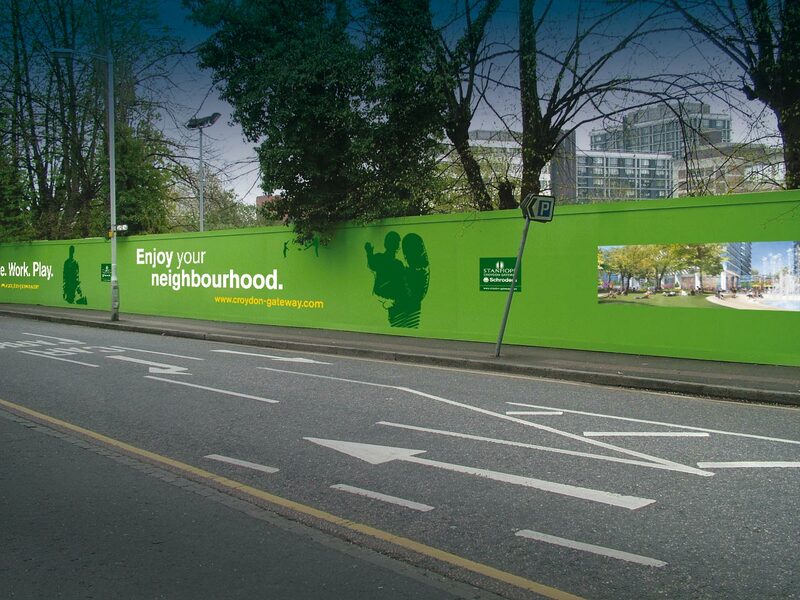 We were also been appointed to design and produce the hoarding across the entire site as well as designing an 80m long, 3m high site billboard which will was visible to all East Croydon commuters and has been one of the most eminently visible, high impact billboards in the South East. The brochure needed to ooze the combined commitment to recycling, sustainable and environmentally sensitive development practices. We were tasked to create a brochure that communicates the project’s commitment to sustainability to the community. The brochure needed to ooze the combined commitment to recycling, sustainable and environmentally sensitive development practices. 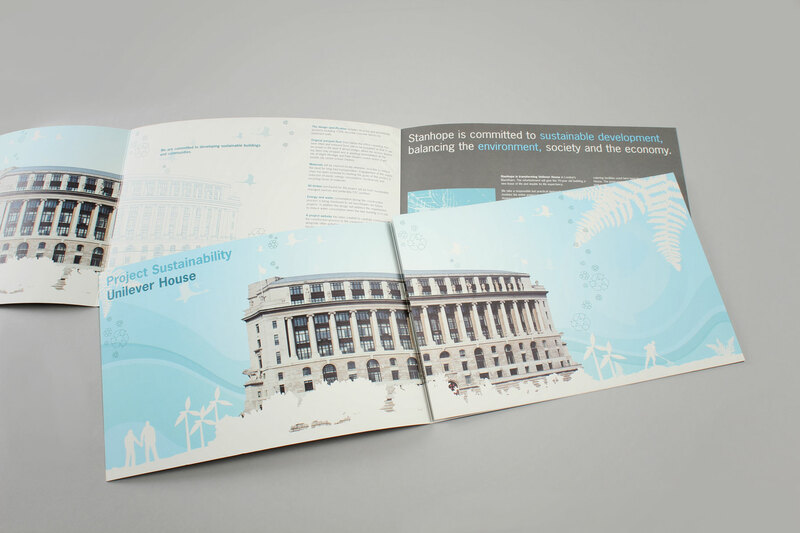 We designed an A4 landscape gate-fold brochure that offered bespoke photography of Unilever House in London. 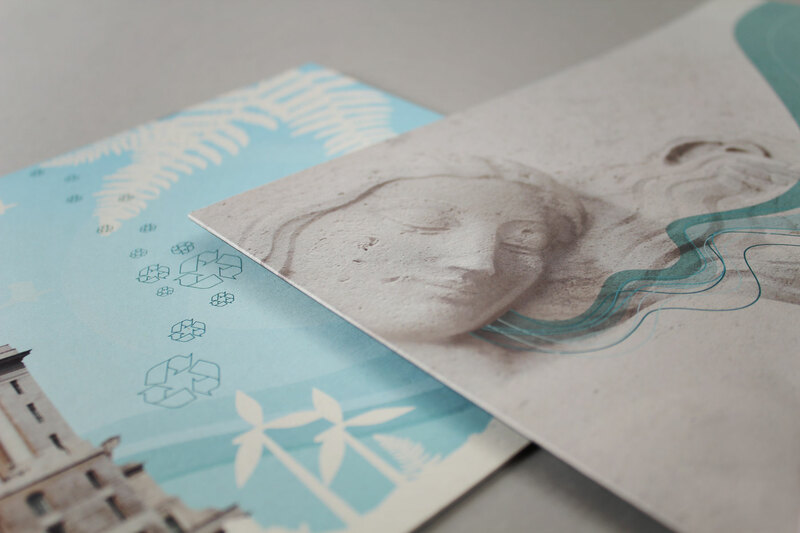 The brochure was printed on 100% recycled stock to further enforce the commitment to sustainable practices. The communication was designed to highlight what practices are enforced on site and which areas of the building have been recycled. It was imperative to communicate a corporate social responsibility message to the market. 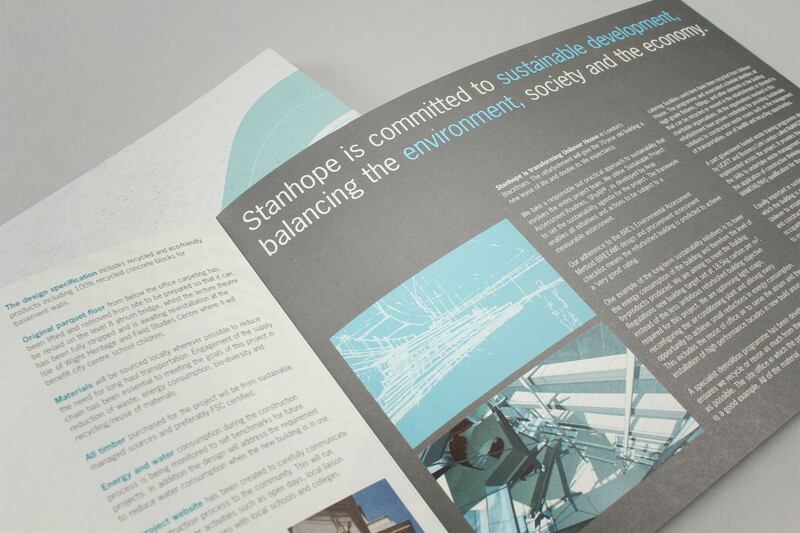 The publication was exceptionally received by both Unilever and Stanhope and it reflected greatly on the development – A beacon for sustainable development in the UK. 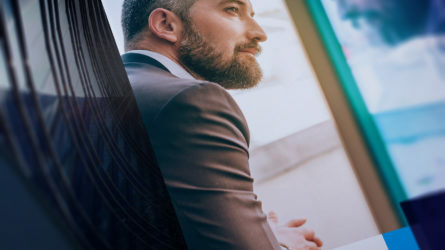 Design and build a corporate intranet that integrates with Stanhope’s current IT hardware/systems. The intranet needed to be administered by a single ‘super user’ and offer permission/access levels across the company. Further consultation with the client identified the need for an image library system to be offered within the intranet as well as one-way integration with MS Outlook. The first phase saw us develop the specification in partnership with the client. Once the specification was approved, Firedog developed the intranet architecture and the build specification. We designed the front-end of the intranet and created the overall feel of the intranet. We then developed a build kit that contained all the necessary bits required by our build partners to affect the build of the intranet. The finished intranet included project and corporate libraries, an advanced image library application complete with light boxes and print wizards/functionality, global address book functionality (that syncs with Outlook) as well as including a dynamic site map and document upload, delete and email functionality. Following the implementation, Firedog developed full technical handover documentation consisting of all written and stored procedures. This was supplied to the client’s IT Manager and included a full overview of the intranet.